Zachary’s class has International Fair this week and he is representing Switzerland. He has to dress in a costume representing his country. He is not very big into dressing up and usually sits out of Spirit Days and dress up days altogether. 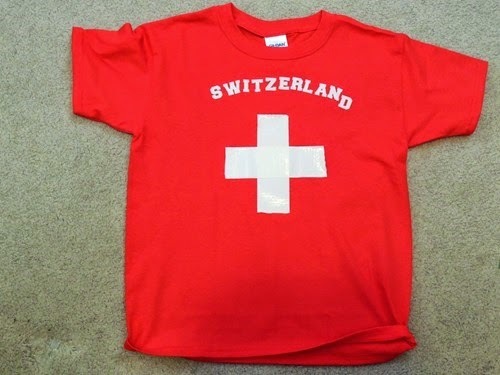 I decided to make him a very simple shirt that looks like the Switzerland flag and I imagine my idea could be used for making shirts of other countries with simple flags as well! 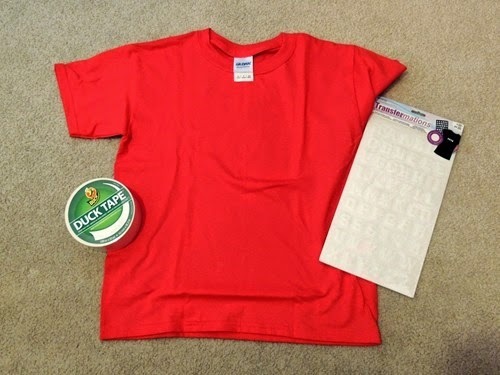 Supplies: Shirt in background color of the flag, Duck Tape in the color of the flag decoration, and iron-on letters. Tada! A simple, wearable Swiss flag! I will be sharing more about International Fair later in the week, so stay tuned!